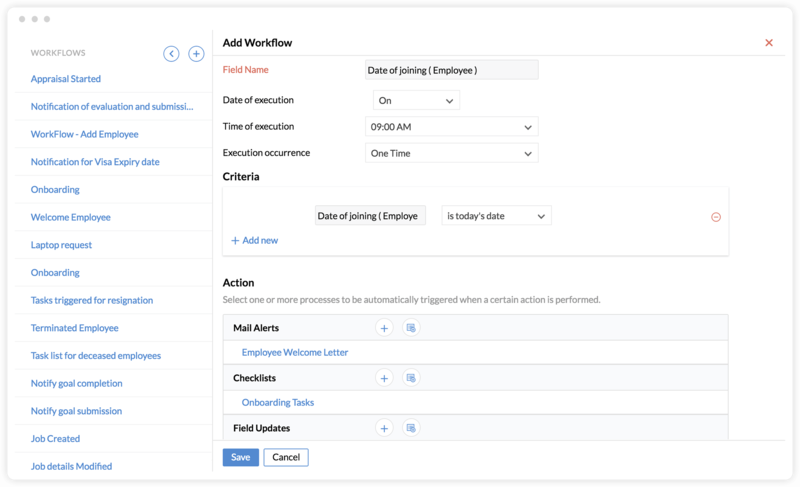 From automating your daily HR processes like mail alerts, tasks, approvals and schedulers, to building just about any function your organization likes to have, workflows let you to be more productive. Every organization has unique needs, and HR is no different. 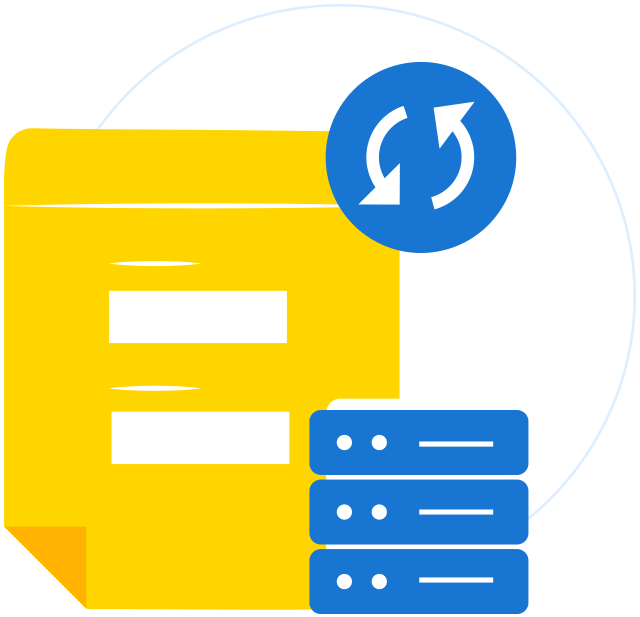 The custom functions available in Zoho People mean our software can be tailor-made to fit your business. Less to remember, less to forget. Mark your calendar and let it keep track of important events. You can automate birthday greetings or work anniversary wishes, and set event reminders to come to you by email. Use templates and get things off your plate. 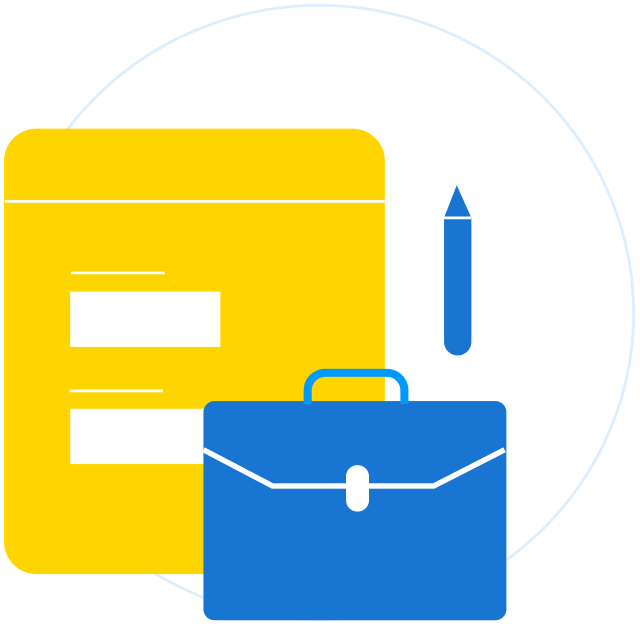 A big part of HR is document management; from offer letters to employment handbooks to proof of address forms, there is a lot to keep track of. 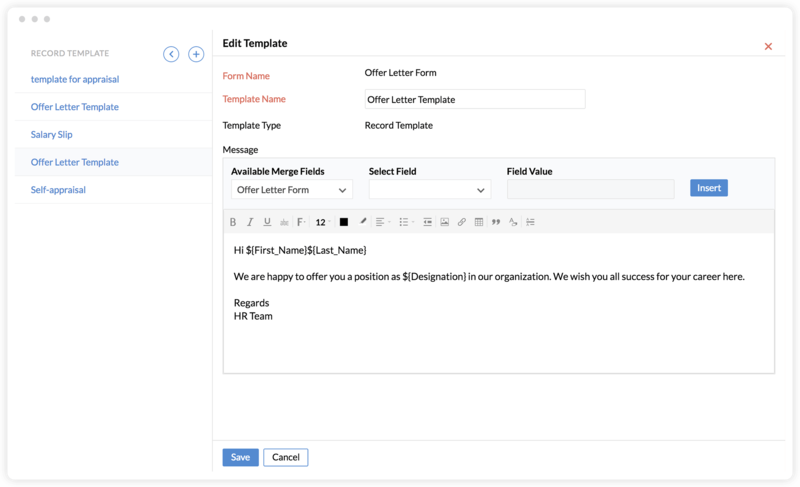 Templates can help you simplify and organize the process, so sending out paper becomes less work. 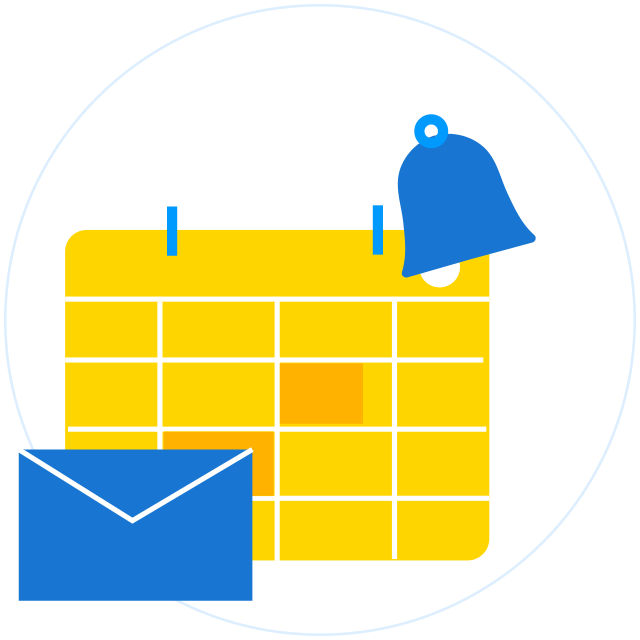 Use schedulers to send periodic emails and reports. 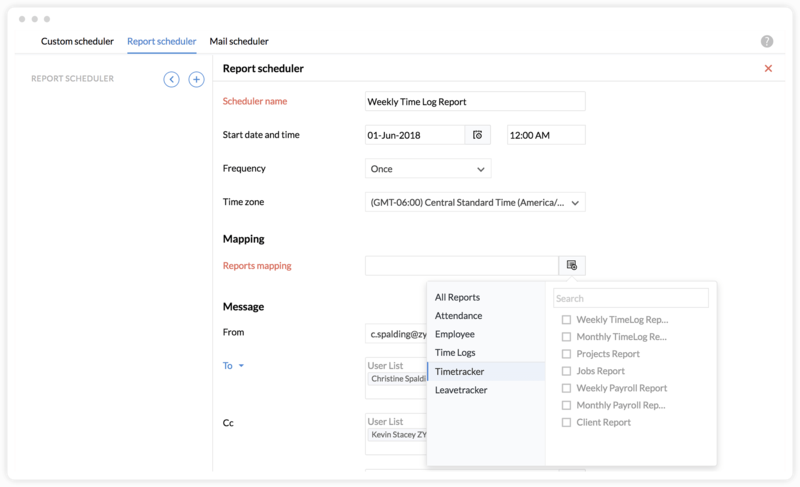 Zoho People lets you create report, emails, and custom schedulers so that you can be sure you've sent the right info to the right people, right on time. 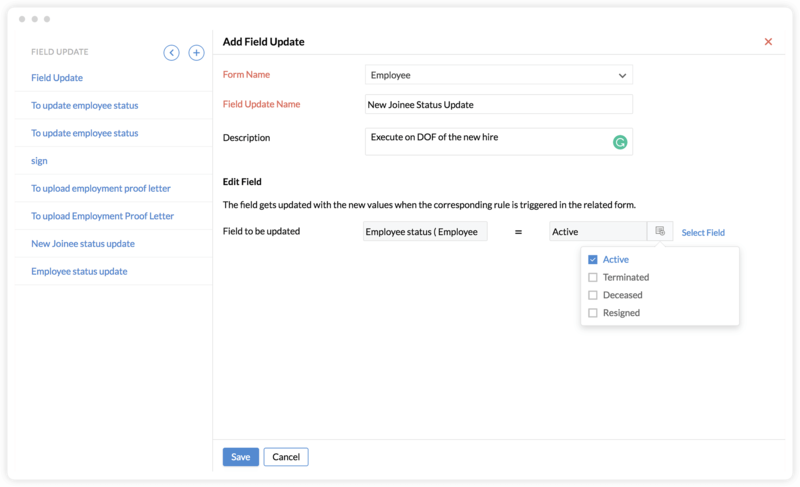 If you're having a newemployee join, another promoted and another retiring,you need to have lots of data fields updated to reflect the changes. 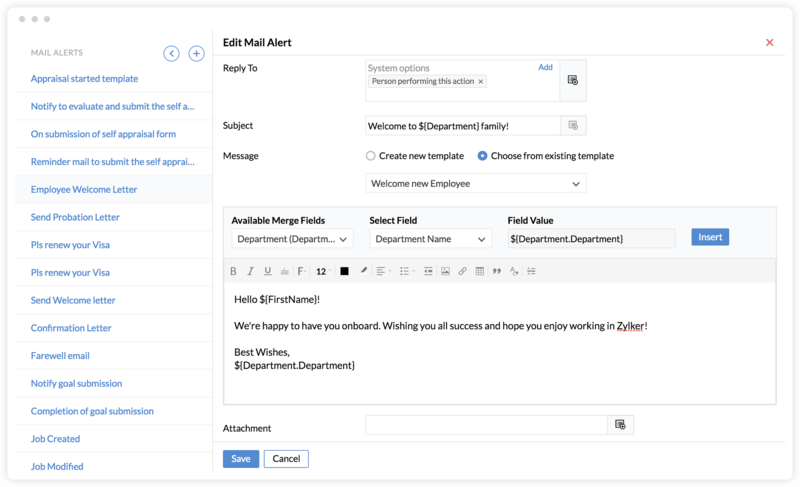 Mark fields in a workflow and Zoho People automatically triggers the updates.